From IT professionals to UX designers, TechBirmingham thrives through its immensely talented and diverse group of member companies. Meet the Board is an ongoing Q&A series highlighting this group of movers, shakers and makers in Bham’s tech industry. Say hello to Chad Ballard, Director of Mobility and New Digital Business Technologies at BBVA Compass. 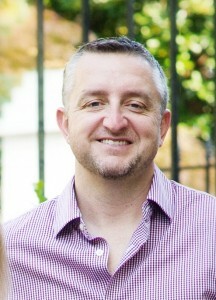 A lifelong native of the Magic City, Chad has been working at BBVA Compass for 13 years. Read on to get to know more about one of the latest additions to our Board of Directors. Hey there, Chad! Let’s dive right in — Tell us more about your job. I’m responsible for the technology strategy and development of mobile applications and the pursuit of new digital business strategies. New Digital Business includes the development of internal/external prototyping, digital acquisitions and strategic partnerships. An average day for me is very active! Lots of meetings and collaborations with many internal and external partners throughout the day. What do you think is the biggest misconception about your field? One of the biggest misconceptions of my field is just because I’m in banking doesn’t mean I’m a banker. I have worked for a bank for 13 years, but I’m far from a banker. I was a developer out of high school and was originally pursuing a degree in engineering. So, I have always had a passion for technology and I’m very passionate about the banking industry and the opportunities it has with digital transformation and innovation. Banking is such a great industry for technology. Another major misconception is that people believe banks don’t develop software or create innovation. The chairman of BBVA recently was quoted that “BBVA will be a software company in the future”. I do believe this is true. BBVA is the most innovative bank, I have ever seen and develops its own technology like a software company. It sounds like you really love your job! I do. I was originally part of Compass Bank and have been through every part of our transition to BBVA Compass. So I have a real appreciation for what BBVA has meant to the transformation of banking in the US and a real appreciation for what BBVA has meant to the city of Birmingham. But of course you have to find some time to unwind. What do you do for fun? I love to play golf and exercise and have become an avid runner over the last 5 years, participating in half marathons. I also love to travel and enjoy spending time with my wife Tiffany, our 6 year old daughter Isabella, and soon with our new baby Catherine (on the way in June)! One last question — How do you feel about Bham’s tech scene? I believe Birmingham is a hidden gem just waiting to be better exposed in the U.S. Regarding strengths, Birmingham is strong in Finance (Banking) and Healthcare. It also has great restaurants that are known both locally and nationally. The craft beer market is picking up as well! There are also some great local staffing companies. Birmingham is also becoming much more diverse in its culture which adds a lot of value to the growth of the city. Overall, this is really helping Birmingham to grow in the last 5 years. I have a lot of friends who are transplants from another state and most are initially skeptical about coming to Birmingham but 100% of them are sad when they have to leave it! Regarding weaknesses, Birmingham’s tech scene is lacking in the latest industry skill sets (mobility, cloud, open source, etc). Birmingham also lacks a lot of local talent to hire from. The great local staffing companies have to go out of Birmingham to find that talent. So, if we can improve the technology scene in Birmingham, we can attract more local talent to stay in the city. Also, Birmingham has some biotech, but is lacking in strong fintech companies. I think improving the tech scene can really increase Birmingham as a scene for Innovation which will naturally increase these industries. Well said! And if we want to learn more, where can we find you online? I primarily use LinkedIn in my day to day. I’m also on a number of other social platforms (Facebook, Twitter, etc). However, I don’t spend a lot of personal time in them as I just stay too busy to stay continuously engaged! I use them a lot in development of new technologies as it amazing how powerful social engagement is in today’s world. 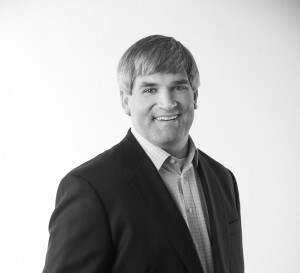 Meet David Powell, VP of Managed and Cloud Services at TekLinks, a nationally-recognized IT solutions company. A Birmingham native, David has been working at TekLinks for six years. Read on to get to know more about one of our newest board members. Hey David! Let’s get started — Tell us more about your job. I have the best “dinner party conversation killing” job title ever. No one ever knows how to follow up. I’ll get things like “like iCloud?” And, while people at a dinner party may not understand, I have a great job. I’ve got the marketing department, product strategy, product roadmap, and industry thought-leadership. While I lead our marketing team, we have some great people on that team that make it all happen. As for the other areas, my job is to keep my eyes “downfield”. I’m to look at industry trends, product trends, customer requests, and competitive offerings and make sure that TekLinks is well positioned in the market. Periodically, I get to travel around the country and speak about the cloud. I love the fact that from California to Boston, they bring in a guy from good ole Birmingham to address the group about the cloud! I heard it said that “technology has gotten so good that it has taken the technology out of technology.” This is pretty true. People think that I’m some kind of “techie”. When, really, technology now isn’t so much about the “how”, but about the “what”. It isn’t as important to know how something works as much as it is to know what you use the technology for. I love live music and I love to read. So, when I’m not working, I love to go to a concert or pick up a great book. Even though I work in the tech industry, I still buy hardback books. I love the social component of concerts and books, so I like to have a hardcopy book to share and pass along. As it relates to music, if you want to know what I’m listening to, find me on Spotify and subscribe to some of my playlists. Besides those two hobbies, I’m the proud dad of two awesome kids and I’m very involved in their lives coaching sports, etc. And shoutout to my lovely wife, Allison. She is pretty awesome (even if she does lack solid judgment with regards to guys, a flaw from which I greatly benefit)! How do you feel about Bham’s tech scene? Birmingham was a little late to the game, but as is the case with many things, slow and steady tends to win the race. If we can continue to highlight our successes and grow our tech focused businesses locally, we will be fine. Just like you see so many companies on the west coast that are started by people that worked at Microsoft or Google, I hope to be able to see lots of companies in Birmingham in the next decade that are founded by people that used to work for TekLinks or Daxko or whomever. That’s the way you really grow the market. Well said! And if we want to learn more, where can we find your company online? Visit TekLinks online here, or check us out on YouTube and Twitter. Want to hear more from David? Follow him online: Twitter, Facebook, Spotify, LinkedIn. 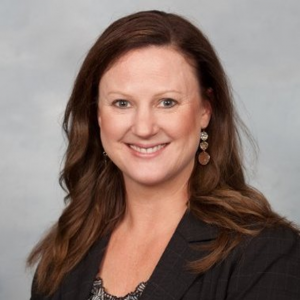 First up in our Meet the Board series is Lisa Crymes, Chief Experience Officer at DST Health Solutions. Hailing from Atlanta, Lisa has called the Magic City home for nearly three years. Get to know a little more about Lisa. Hi Lisa! Let’s get started — Tell us more about your job. My role is new to the organization – I joined our executive team last fall as CXO and I have been focused on building out what CX means to our organization. I have been very busy with digging in to what perceptions our clients have about us and how do we measure our relationship. There are some beliefs that CX is marketing or that it’s “soft/fluffy/optional” – however, CX is deeply rooted in scientific research. It involves quantitative and qualitative research components, making it very measurable. I have been impressed with Birmingham and the technology scene. Coming from a larger city where I was deeply involved in the technology associations, I do have lots of opinions but its clear that Birmingham has some smart people who are continuing to build a great technology community. Well said! If we want to learn more, where can we find your company online? Check out dsthealthsolutions.com as well as DSTradio.com (which houses our podcasts). When she’s not doing burpees at IronTribe, venturing out of country for a yoga retreat or enjoying a great new culinary adventure, Lisa spends time with her kids, Chandler (20) and Olivia (22) and her spoiled, sweet pups Bailey and Ziggy. Find her online @lisacrymes and connect with her on LinkedIn. And for more about why CX matters in the health insurance industry, check out the podcast Lisa just did for her company. We highly recommend it. Breakfast + Business + Baseball! 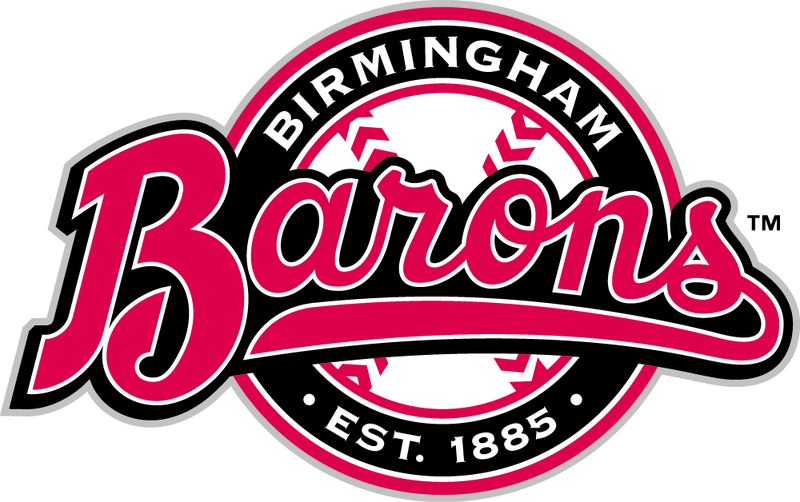 TechBirmingham will host a business networking event on April 13 at Regions Field in conjunction with the open series of the 2015 Barons baseball season. The event, Keep IT Local, provides tech-related businesses the opportunity to network with each other, increase their visibility, and meet with representatives from several large local corporations. “Keep IT Local fulfills the promise of Birmingham’s tech community. We all want organic growth but need help connecting. TechBirmingham and events like Keep IT Local provides a vehicle for us to do just that,” said Carlo Romano, Vice President of Business Development at Isotope11. “It’s important for Birmingham’s big companies to do business with smaller, local companies when possible. Birmingham has tremendous talent, and the large companies can help make this pool deeper. I applaud companies like Blue Cross/Blue Shield for seeking out local vendors to help address some of their IT needs,” said Glenn Kinstler, Relationship Manager at 2B Solutions. Format: Keep IT Local is a half-day event, lasting approximately 6 hours (8:00 am – 2:00 pm) with the opportunity to network with local businesses big and small in an intimate, fun setting. Local IT Business Connections – This event provides the opportunity for local businesses to network with each other, increase their visibility, and meet with representatives from several large local corporations. Social Media Promotion – TechBirmingham will promote all participating companies on the Keep IT Local page of our website, as well as through TechBirmingham social media channels. Baseball! 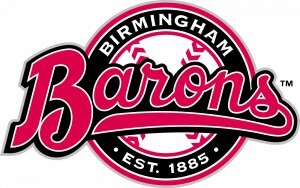 – Attendees can stay for the baseball game between the Barons and Mobile BayBears in a suite and covered patio. Refreshments provided during the game.